UXBRIDGE, Canada, Dec 17 2012 (IPS) - The most important number in history is now the annual measure of carbon emissions. That number reveals humanity’s steady billion-tonne by billion-tonne march to the edge of the carbon cliff, beyond which scientists warn lies a fateful fall to catastrophic climate change. With the global total of climate-disrupting emissions likely to come in at around 52 gigatonnes (billion metric tonnes) this year, we’re already at the edge, according to new research. To have a good chance of staying below two degrees C of warming, global emissions should be between 41 and 47 gigatonnes (Gt) by 2020, said Joeri Rogelj, a climate scientist at Switzerland’s Institute for Atmospheric and Climate Science in Zurich. “Only when we see the annual global emissions total decline will we know we’re making the shift to climate protection,” Rogelj told IPS. Making the shift to a future climate with less than two degrees C of warming is doable and not that expensive if total emissions peak in the next few years and fall into the 41-47 Gt “sweet spot” by 2020, Rogelj and colleagues show in their detailed analysis published Sunday in the journal Nature Climate Change. The study is the first to comprehensively quantify the costs and risks of emissions surpassing critical thresholds by 2020. This shift means 65 percent of existing coal power plants will have to be shut down in the next decade or two. “There are enormous benefits if global emissions decline before 2020. Failure to do so will mean we will need to use more nuclear, massive amounts of bioenergy, large-scale carbon capture and storage,” he said. The costs and social implications from deploying all this will be “huge”, he said. “Delay is by far the riskier option,” Rogelj said, noting that failure to act now means those additional risks, costs and social disruption will land on the heads of the next generation. These climate-disrupting emissions are primarily carbon dioxide (CO2) from burning fossil fuels and deforestation. The global total also includes other greenhouse gases that are warming the planet such as methane, nitrous oxide, and a few other chemicals. In 1990, global emissions were 38.2 Gt, and in recent years, they have been growing at a rate of three percent per year. This growth is despite commitments by industrialised countries to reduce their emissions. In 2009, all industrialised countries, including the United States, made emission reduction pledges under the Copenhagen Accord. However, even if countries reach their Copenhagen targets, global emissions will be about 55 Gt in 2020, the study estimates. Staying below two degrees C is still feasible, but it will be far more expensive and difficult, imposing an additional cost burden amounting to trillions of dollars over 2020 to 2050. Earlier this month, during the annual U.N. climate conference in Doha, governments declined to increase their emission cut targets. 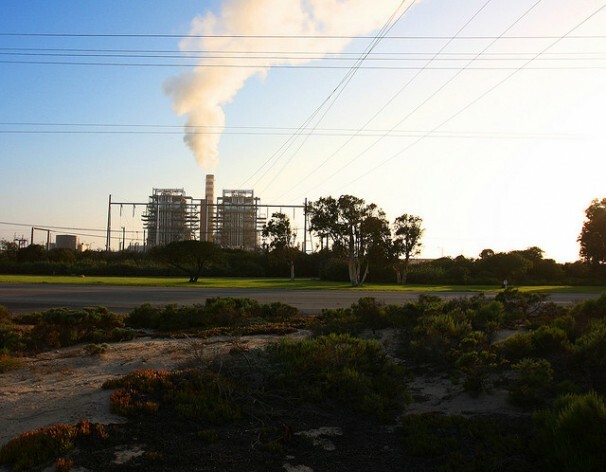 Citing economic difficulties, countries like the U.S. and those in the European Union looked to a new global climate treaty that would not make additional emission reductions until 2020. Despite the urgent need to reduce emissions, the fossil fuel industry received a record 523 billion dollars in public subsidies in 2011, 30 percent more than the previous year, according to the International Energy Agency. “Lots of actions at the local and national level are needed to bring emissions down over the next few years,” said energy researcher David McCollum of the International Institute for Applied Systems Analysis (IIASA), in Laxenburg, Austria. Waiting until 2020 before emissions decline means millions of hectares of land will be needed to produce biofuel, billions of dollars invested in new nuclear power plants, and new technologies like carbon capture and storage must not only work but be effective on a large scale, McCollum told IPS. “At 44Gt (in 2020) we can choose the most cost-effective reduction options. Above 55Gt, we need everything and they’d all better work,” he said. The authors of the study acknowledge these numbers might be too optimistic because current climate models cannot incorporate emissions from melting permafrost and other natural sources of greenhouse gases that might result from increasing temperatures. Staying below two degrees is not a matter of science or technology. It will be determined by political and social decisions to take the necessary steps to shift to low-carbon living, said McCollum. And, in that regard, the choices made before 2020 are critical, both he and Rogelj conclude. That’s the elephant in the room. “That’s the elephant in the room” ? Giant Mice eating the Blue Cheese Moon ! Sanity will not fall over a cliff. Copenhagen goal, 2.0C would be just a memory. as for those nations likely to be held liable for damages. There are only two things that could lead to a decrease in world carbon emissions. One is if renewable energy comes in cheaper than fossil fuel energy and with the recent fall in the cost of solar panels, we may just be on the right track. The other is if we have a sufficient number of sufficiently severe weather disasters and crop failures to convince our fossilized politicians that climate change is real. If we are lucky, the 90,000 year long Ice Age will wait for a while. To prevent the soon to come ice Age — We need to increase the atmosphere. 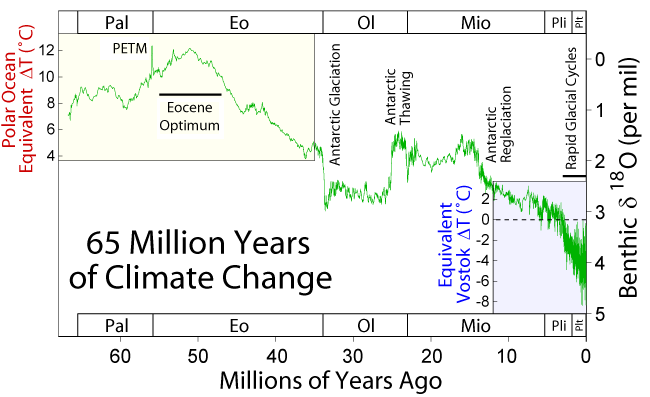 If we release CO2 from ~ 100 km^3 of carbonate rock, we will warm up to Eocene times. Lewis, aerosols are complicated and you’ve misunderstood what Hansen is saying. Science does not have a good handle on their cooling impact on climate and the magnitude. There is no way to measure aerosols globally yet. I have written about this. Cyanobacteria emit 10 times the aerosols that humans emit. Insulate the Ocean and drift over the Ice. Distributions of concentrations determine effects. Does Global dimming actually result in average warming ? Stephen – thanks for your response. I’ve searched the pages of headings of your articles back to late 2009 without spotting one addressing Hansen’s findings – could you provide a link ? I should be very interested to read your interpretation of the impact of losing the sulphate parasol. Given the various articles on the relevance of Carbon Recovery via forestry, I wonder whether you may accept this form of geo-engineering as necessary alongside emissions control, but don’t yet see any form of Albedo Restoration as a critical requirement for the timely control of the feedbacks’ interactions ?